Entry Requirements: 4 GCSEs at grade 3/D or above including either Mathematics or English, or a Level 1 equivalent in this area and GCSE Mathematics or English at grades 3/D or above, plus a satisfactory portfolio. This course is for students interested in creative subjects and will provide you with all the skills and understanding you require to start your career in a creative industry. The course will focus on developing your understanding of what you will need in order to work in creative job roles, as well as giving you the opportunity to build a range of creative practical skills in photography, graphics, textiles and fine art. This course is assessed through a variety of projects and assignments, will produce a variety of artwork, sketchbooks and final pieces which is assessed throughout the year. All assignments are graded Pass, Merit, Distinction or Distinction*. 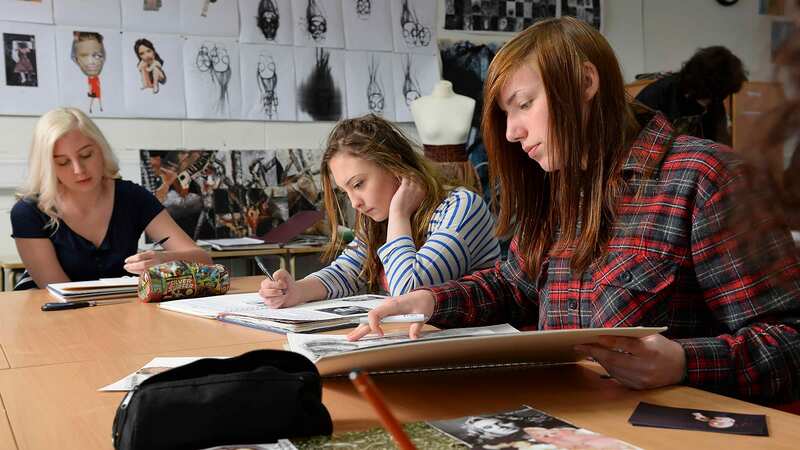 Students will pay a consumable fee to cover the cost of a trip, a sketchbook and specialist art materials. Costs will be confirmed at interview / enrolment.